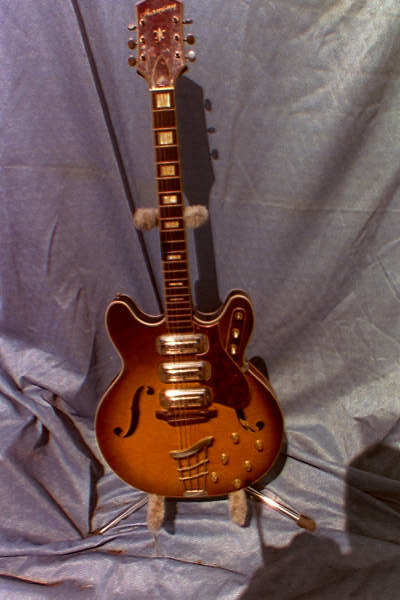 Here are some Harmony Made guitars that I have owned or run across. Each is an interesting interment. 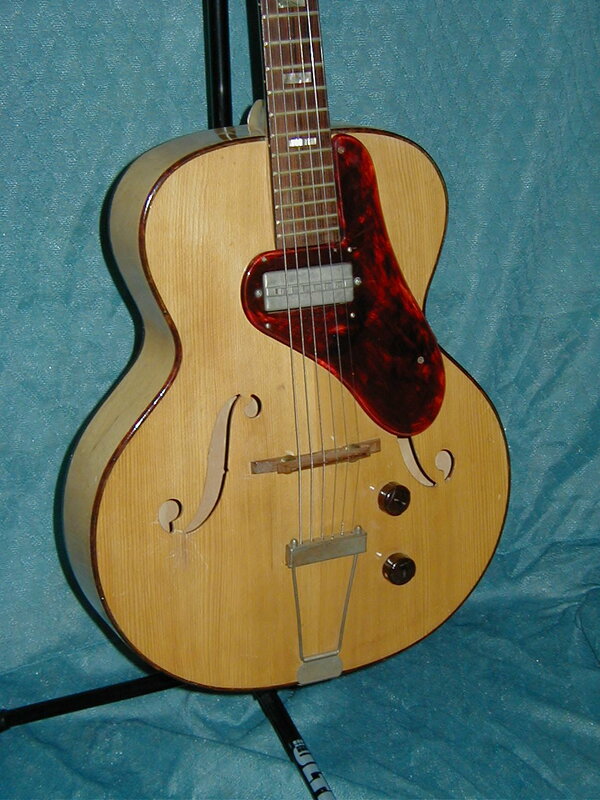 This Model 1310 was the top of the line Harmony Archtop. With it's tortise headstock overlay, it is of particular interest to me. 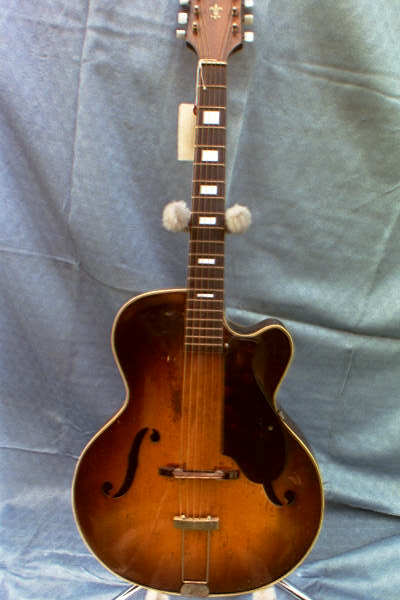 This Model H-75 was also a top of the line Harmony Electric. 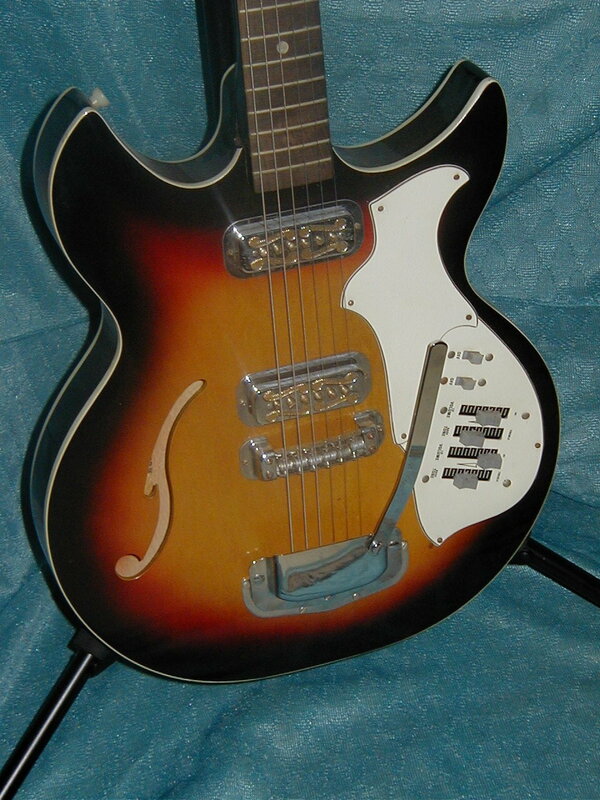 This H-82 Harmony Rebel was unique in it's slide control for volume and tone. 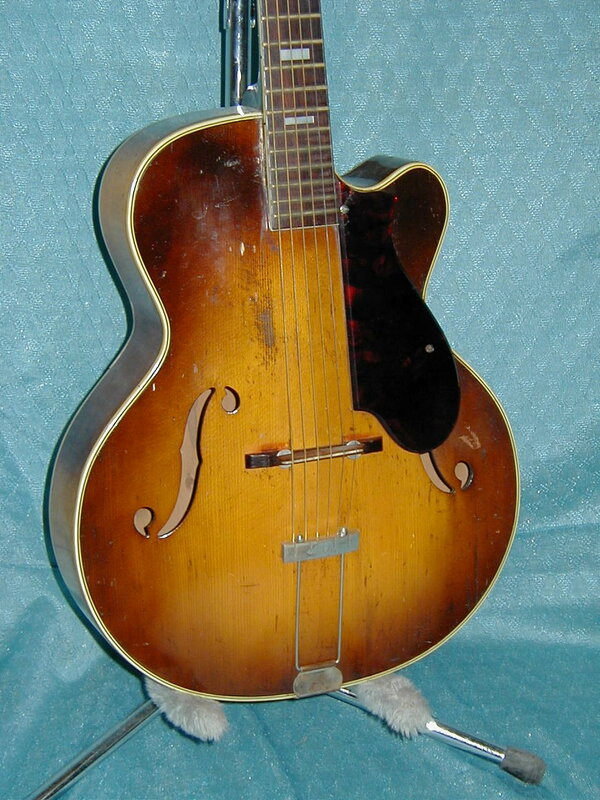 This two pickup H-64 was boasted as being a top of the line professional quality instrument.